Donald Eugene “Jack” Crandall was born on November 14, 1934, to Sofy and Jessie (Adamson) Crandall in Galland’s Grove, Iowa. He was raised on a family farm south of Dunlap, Iowa. He attended country school and Woodbine Community Schools for most of his education, except for one year in Pueblo, Colorado. Jack married Dona Marie Smith on December 3, 1955, at the Methodist Church in Dunlap. The marriage was blessed at St. Patrick’s Catholic Church, Dunlap, in 1988 by Father Fred Reichel. Jack worked in a variety of occupations throughout his life. At 18, he worked construction, helping to build the bridge near Woodbine on Hwy 30, among other things. He and Dona moved to Pueblo, Co in 1956, where he worked for Dale Rice Lumber Company until 1967, becoming Assistant Manager. He and his family returned to their Dunlap Farm, where he farmed, had livestock and worked at OM Steel simultaneously. 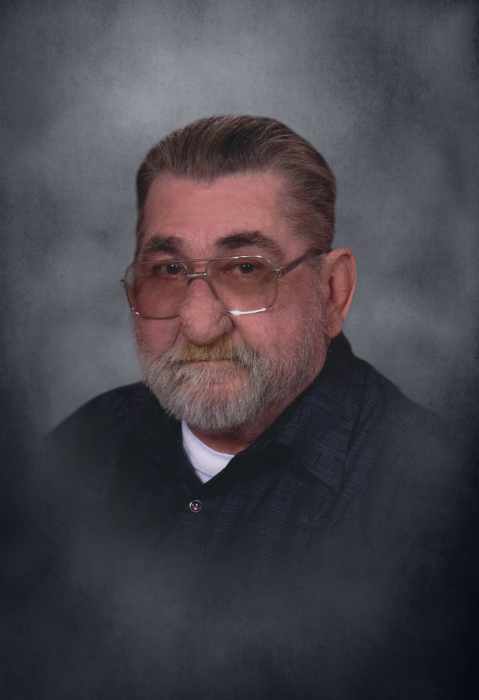 Due to health issues, he retired from farming and went to work at Hedstrom Concrete in Woodbine; Mefferd Trucking in Council Bluffs; Dunlap Fertilizer; and finally, Dilt’s Trucking. Due to health issues, Jack retired earlier than planned. Jack was very active throughout his life. He was a Deacon in the Lutheran Church in Colorado, member of the Lazy H Square Dance Club and Woodbine Saddle Club. He loved attending tractor pulls and pickup pulls. He enjoyed playing cards and board games. He was also very creative. He built the home he lived in for over 60 years, enjoyed leather work, making billfolds, jewelry, and belts for family members. He built beautiful replicas of his farm buildings, a nativity, and sleds out of toothpicks and popsicle sticks. He also enjoyed woodworking and spending quality time with his children and grandchildren. Jack died on Sunday, August 26, 2018, at Bergan Mercy Hospital in Omaha, Nebraska at the age of 83 years, nine months, and 12 days. Jack was preceded in death by his parents; brother and sister-in-law, Clyde and Ethel Crandall; half brother and sister-in-law, Frederick and Agnes Lenz; and son-in-law, Stephen Healey. He is survived by his wife, Dona (Smith) Crandall of Dunlap, IA; four children, Donald C (Romona) Crandall of Omaha, NE, Cristi (Mark) Zack of Missouri Valley, IA, Charles Crandall of Omaha, NE; Deneen Healey of Logan, IA; seven grandchildren; four great grandchildren; and many other relatives and friends.